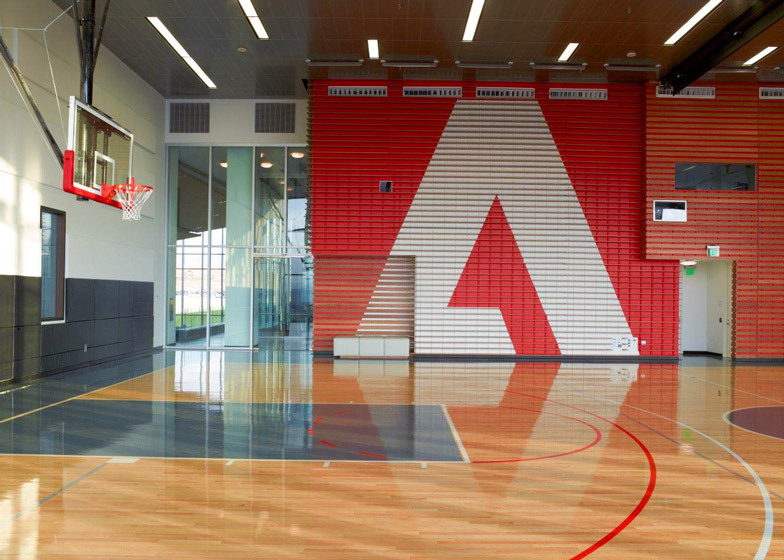 Adobe employees can play basketball and ping pong inside the software company's new mural-covered Utah campus by San Francisco-based designers Rapt Studio (+ movie). 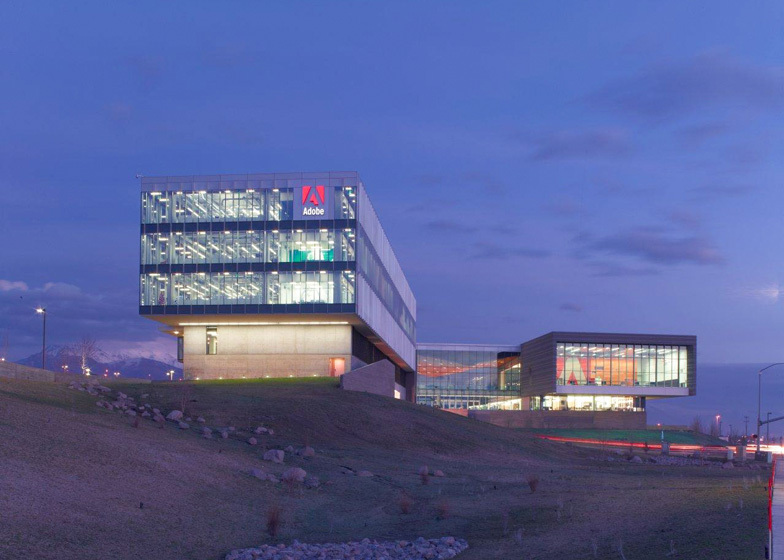 The campus, recently completed by architects WRNS Studio, is located in Lehi, Utah, and houses over 1000 Adobe employees. 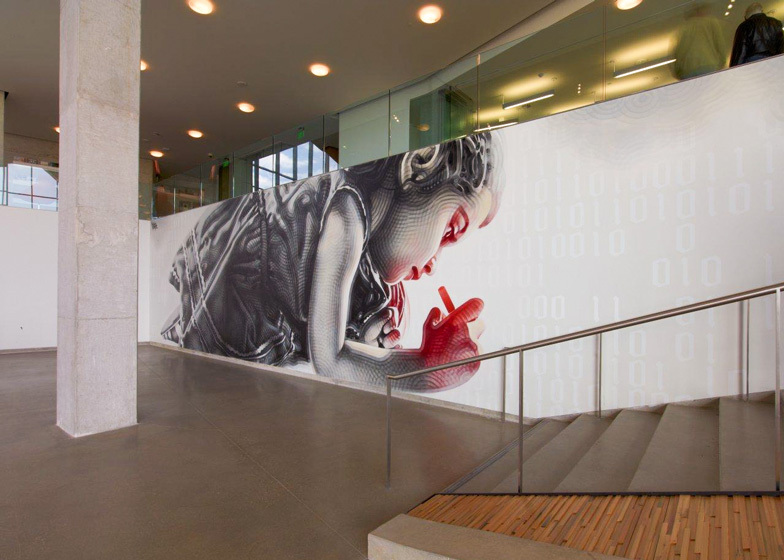 Rapt Studio covered the walls with murals by street artist El Mac and tattoo and graffiti artist Mike Giant, as well as designs that reference computer graphics and technology. 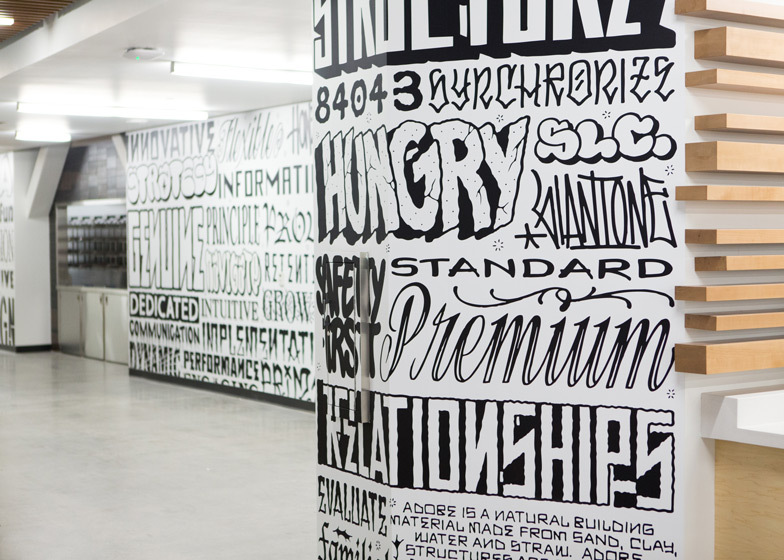 Huge colour swatches from Pantone have been used on the end of rows of desks, while other walls feature examples of handwritten and digital typography. 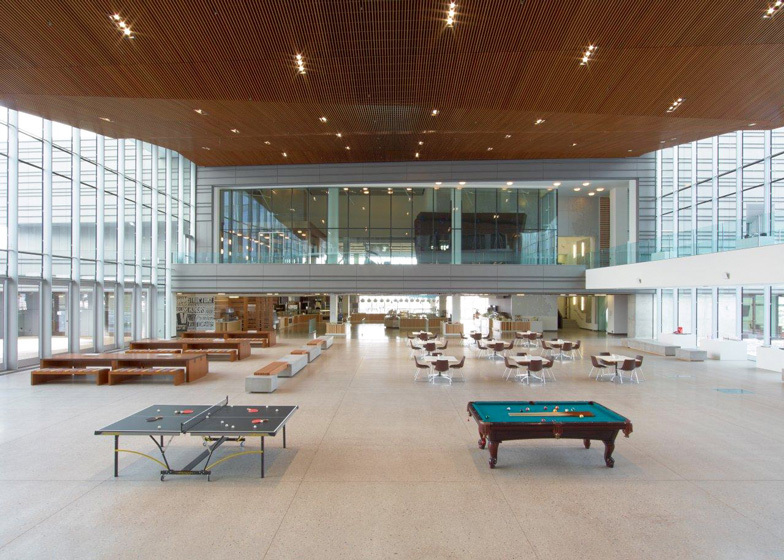 The campus is equipped with a full-size basketball court, a climbing wall, pool and ping pong tables and a gym. 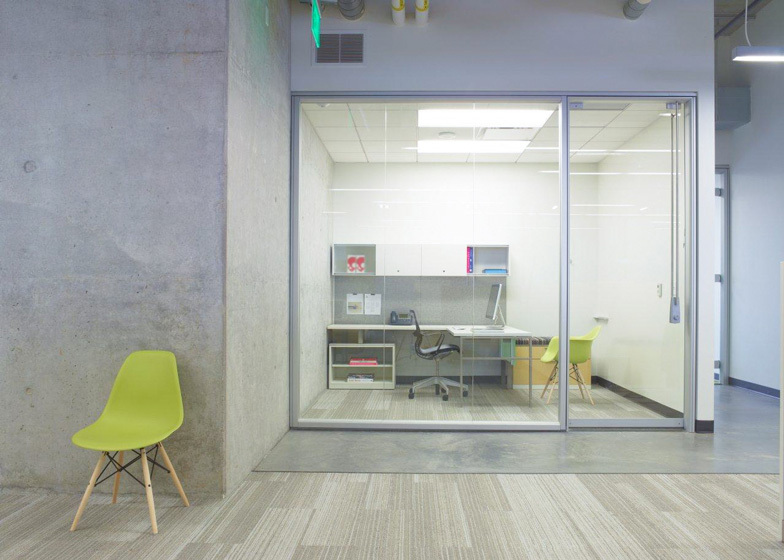 The playful interior is a reflection of Adobe's creative business, explained David Galullo, design principal of Rapt Studio. 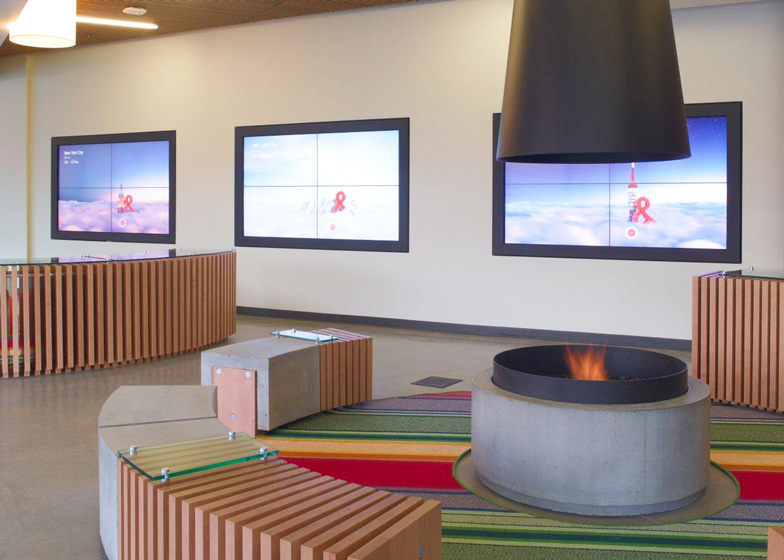 “We were brought in as an agent of change to showcase Adobe’s existing culture and magnify it through workplace design, drawing upon the company's roots in creativity and innovation to fuel the space," he said. 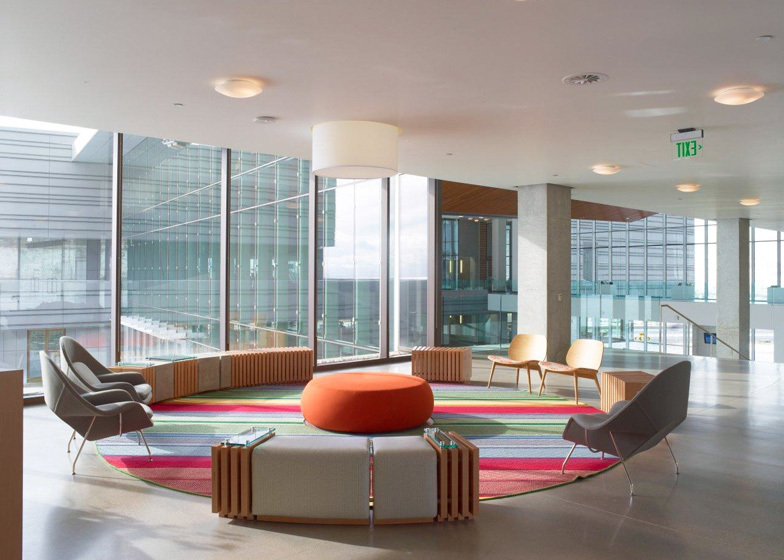 We've published several offices for technology companies on Dezeen, including a Microsoft building in Vienna kitted out with a slide and themed meeting rooms and a Google building in London with games rooms and music studios. 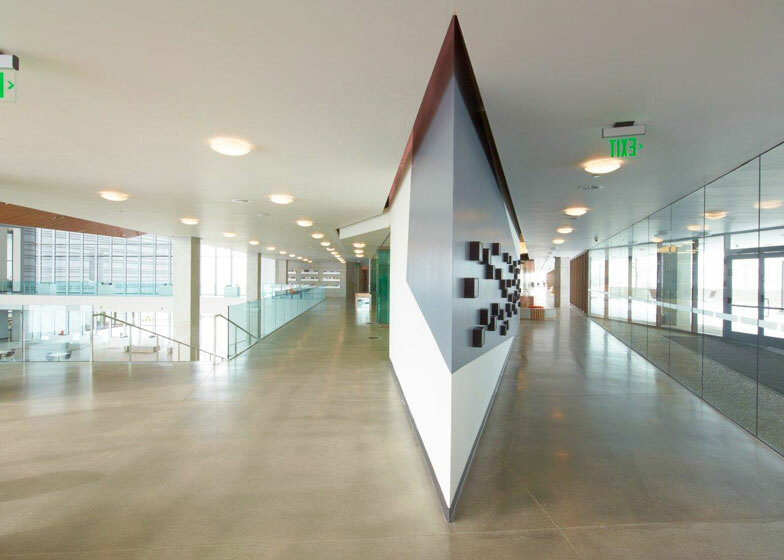 Last year Facebook announced that architect Frank Gehry is designing a new campus for the social media giant. 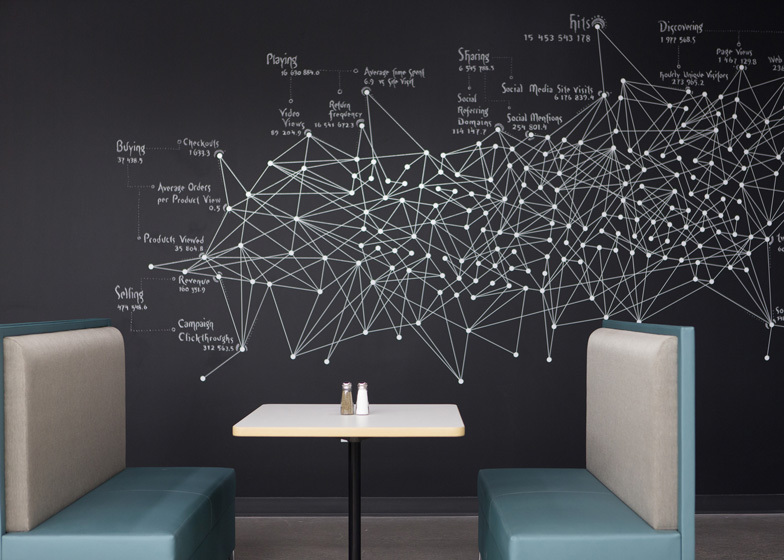 Photographs are by Eric Laignel and Weston Colton. 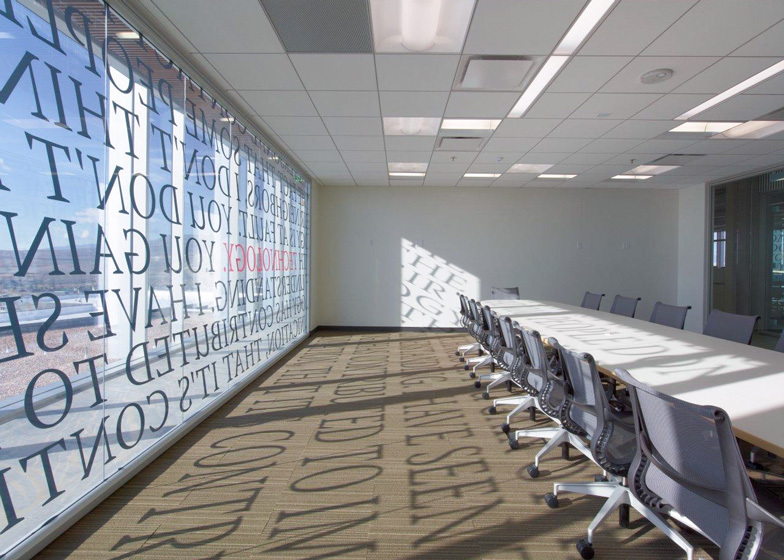 Rapt Studio, an award-winning, multidisciplinary, design practice, announced the completion of its project for Adobe Systems Inc.’s new campus, located in Lehi, Utah. 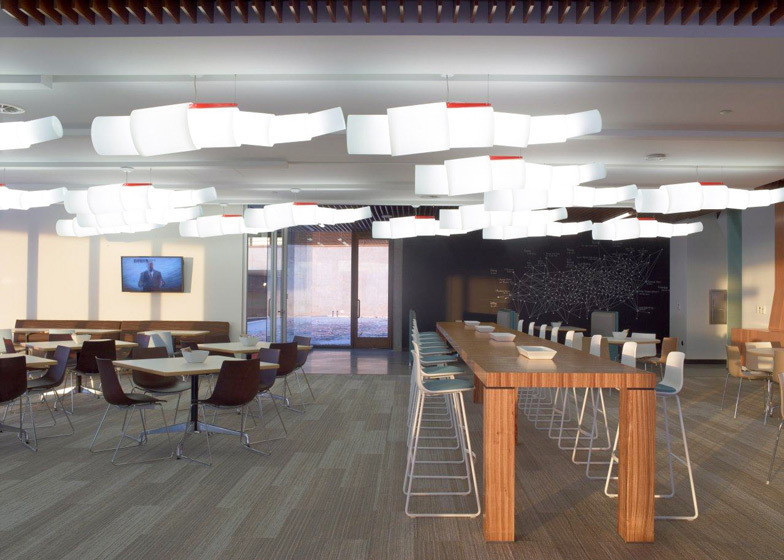 Housing up to 1,100 Adobe employees, the four-story, 280,000 square foot state-of-the-art building showcases Rapt Studio’s unique approach to integrated workspace design becoming an interface between a company's brand and culture and its staff and customers.